INDUSTRY.co.id - Jakarta - President Joko Widodo has yet to decide who substitute the Minister of Industry of Airlangga Hartato post after being appointed as Chairman of Golkar Party to replace Setya Novanto. Nevertheless Airlangga requested self-conscious to immediately resign from his position. "The point is that President Jokowi does not want to bet on his sacred promise to lift his dual assistant, which is clear, he must choose and that is in line with Jokowi's high-level commitment," said Executive Director of Voxpol Center Research and Consulting Pangi Syarwi Chaniago not long ago. 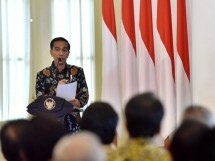 Pangi highlighted two points of commitment Jokowi when running for President. The first is not for sharing power. Second, the minister should not double position. 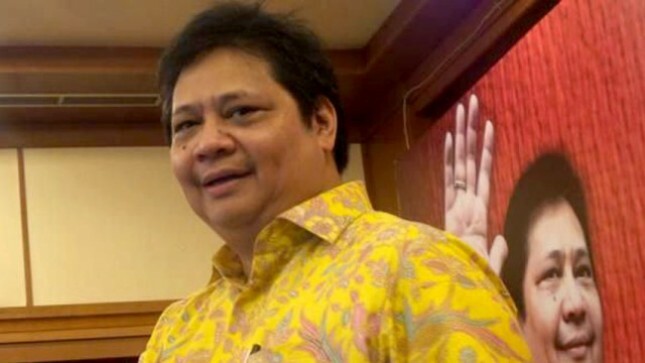 Pangi is worried if the commitment is not fulfilled, so the work and concentration of Airlangga become split, between Golkar Chairman and Minister of Industry. "As minister Airlangga should be aware, without being told, that means to resign," he said. Pangi hopes Jokowi still cling to his commitment. If Jokowi allows Airlangga multiple positions, the consequences will have an impact on public bad judgment. "Do not because one Airlangga ultimately destroys the political tradition that I think is pretty good, that the presidential aides should focus on how to help the ministry programs instead of taking care of the party," Pangi said. "Airlangga without orders has to catch a signal from Jokowi," he added. So far Airlangga's position remains unclear whether to voluntarily resign from the cabinet after being elected chairman of Golkar. Jokowi's attitude towards Airlangga is still questionable.